papaya de altura, gedang memedi, huanarpu hembra, papata de monte. Mountain papaya is a native of the Andean range from Panama to Bolivia. In that region, it can be seen growing at altitudes between 5000 to 9000 feet. May be that is the reason for calling this plant “mountain” papaya. 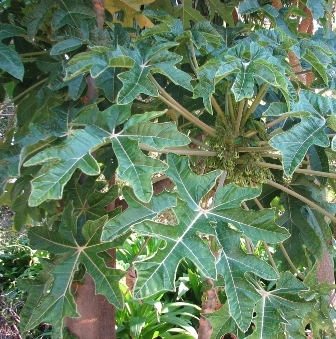 The plant looks quite similar to that of the common papaya but is relatively smaller and less branched. Most plants are about 6 feet tall and rarely growing over 9 feet. It is much hardier and can tolerate light frosts and prolonged drought. It is occasionally cultivated in Columbia, Bolivia and Peru. It has a shallow root system. 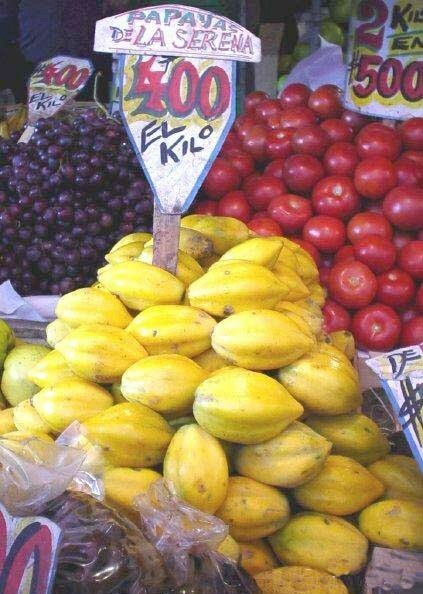 Mountain papaya is one of the parents of the hybrid variety Babaco widely cultivated for fruits in South America. The tree bears male and female flowers on same as well as separate trees. The male flowers are borne 5-7” long peduncles. 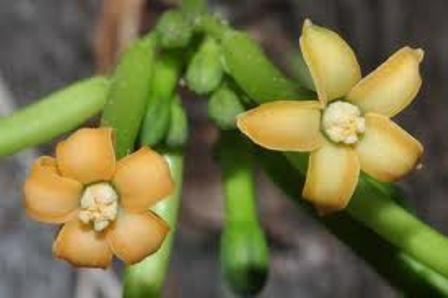 The female flowers are larger than male flowers, and are borne singly on short stalks. 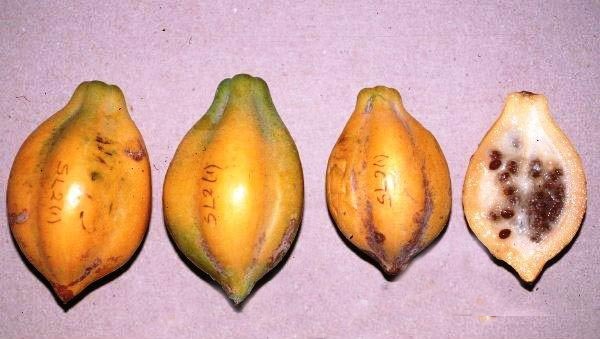 The fruits are obovoid, 2-8” long and 1.5-3.5” wide, five-sided, turning yellow or orange at maturity. The flesh firm, orange-yellow, rather acid and fragrant, surrounding a cavity with numerous seeds covered with a whitish juicy sarcotesta. One an average a tree produces 60 fruits but upto 200 fruits have been counted on one adult plant. The fruits can be eaten fresh. However, these usually first stewed and sweetened. These can also be canned. A beverage is also made from mountain papaya fruits. 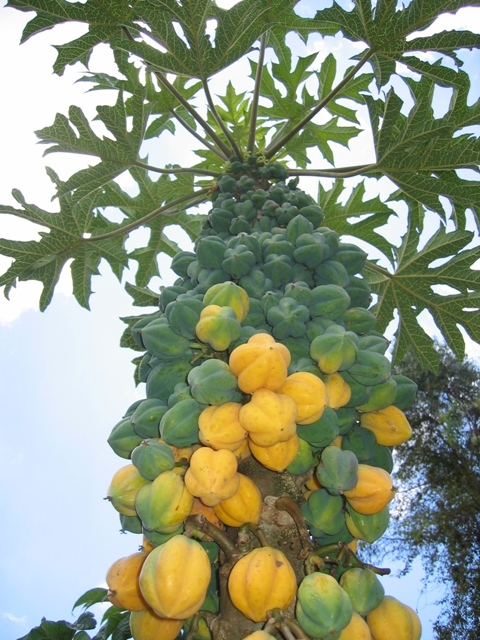 Like papaya, the fruits are rich in the digestive enzyme papain.